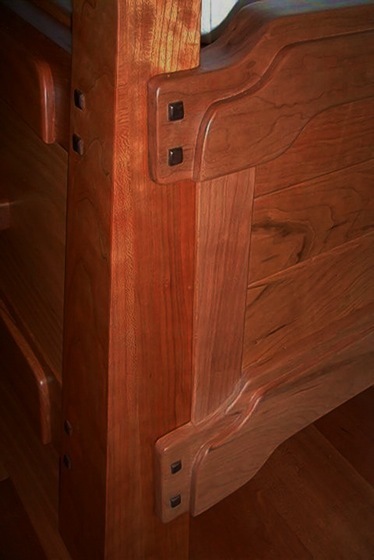 The various schools of the Arts & Crafts movement are each characterized by their use of particular patterns and forms. Here the guiding influence is the work of Greene and Greene, who developed a distinctive style characterized by the "cloud form" captured in the horizontal rails. Ebony pegs punctuate the handcrafted quality of this beautiful piece.